We hear a lot about how low-stakes assessment benefits learning, with examples often drawn from traditional classrooms where students are with you in the space, but in classes with hundreds or even thousands of students enrolled, often engaging with the learning materials in their own time, how can we maintain low-stakes assessments in our teaching? It’s simple! You can use online quizzes to securely and reliably deliver low-stakes assessments, as a substitute for live polls or even paper quizzes. And most importantly there’s no need to start again from scratch. Here's three tried and tested methods for making an online quiz to include in your unit. If your quiz is already created in Moodle, you can run it alongside the lecture with some tweaks in the quiz activity settings. Re-configure a quiz so students can only take it once, within a specific timeframe. You can even make the quiz a requirement to progress to other items in a Moodle unit, and a graded activity in the gradebook. Set up a new poll or easily copy items across from Moodle with Flux - you can send a link to different audiences (e.g. tutorial groups) or embed your Flux quiz in Moodle. 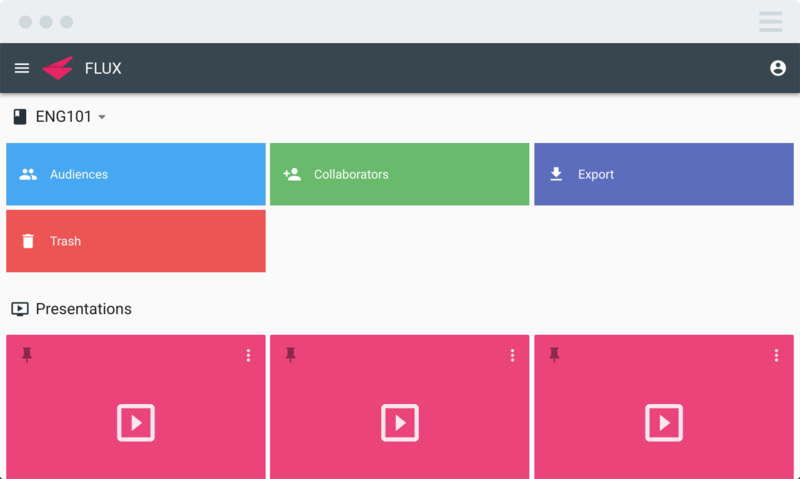 Flux will also create a quiz for you from a Powerpoint presentation. 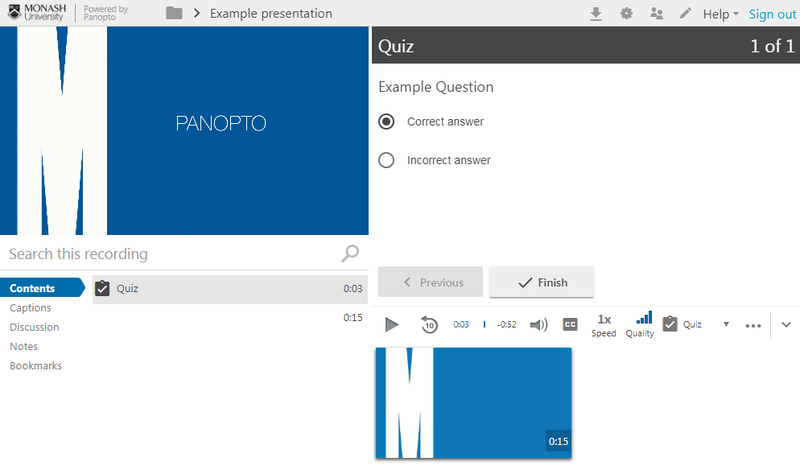 With almost all lectures being recorded, Panopto allows you to simply insert your own quiz questions into a recorded session with the Panopto editor - You can access and download quiz results to track student progress.